We all know what a bad haircut is like because most of us have been there. Some have cried and others have just prayed the bizarre hairstyle would grow out overnight. Bad haircuts also happen to good cats, and in this story, Jin Jin was the victim. 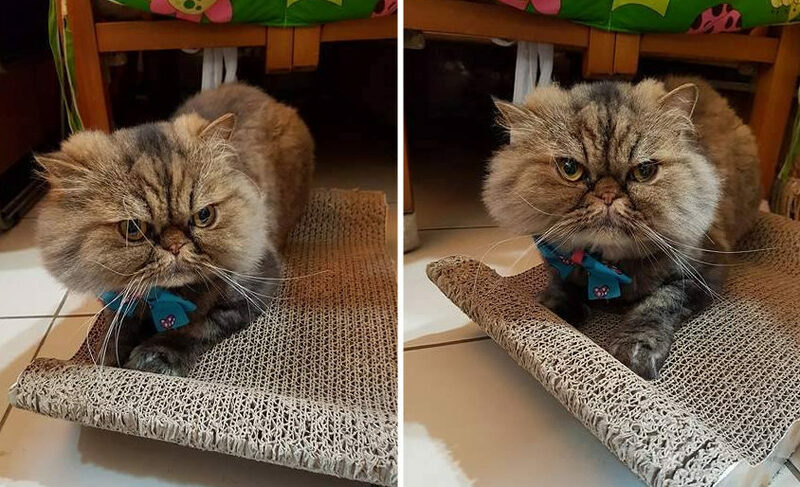 He’s a gorgeous Persian feline whose routine trip to the groomer turned into a nightmare for him and his owners were shocked. 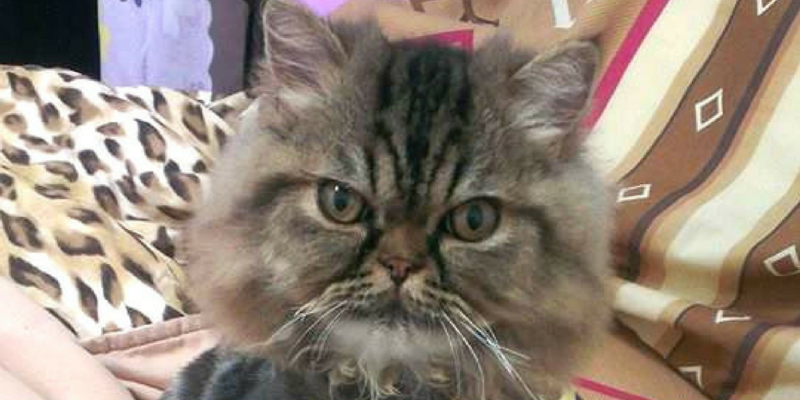 Jin Jin’s long and glorious coat makes him look like a superstar cat, but Persian felines also shed a lot. In fact, these beauties shed moderately all year-round, but they also blow their coat twice a year. Jin Jin’s owner Xie Qian Qian likes to take her Persian pet to the groomer for a shaving when he needs it. That also helps to keep the cat nice and cool and to keep the shedding to a minimum. Jin Jin is usually styled with a cute haircut that resembles a lion’s stunning mane with its tail left untouched. 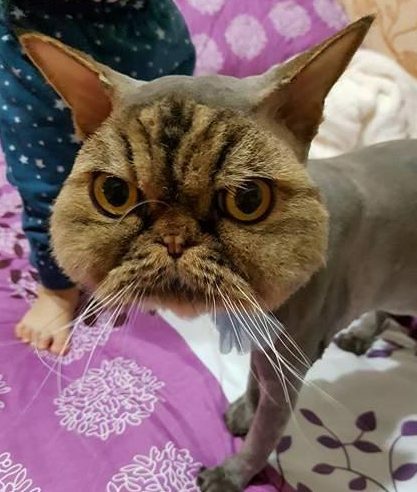 This time, Jin Jin’s usual groomer was there, but Xie Qian Qian could not drop her cat off for the appointment, so she sent Jin Jin with a friend to get his kitty-cat lion’s buzzcut. That’s when the trouble began; apparently, there was some kind of communication snafu about the shaved haircut style. Instead of the usual lion’s mane hairdo, Jin Jin ended up with a most unusual and edgy haircut. Oh, yes, Jin Jin was shaved but in the strangest way. 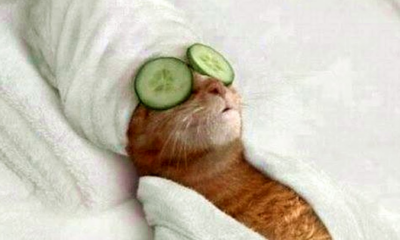 The new hairstyle looked like the cat was furless and only wearing a mask. 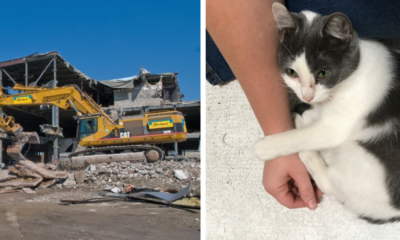 It was a weird and unfortunate result, but “it is what it is” as the old saying goes, and Xie Qian Qian was speechless when she went to pick up her beloved feline. She was shocked that the groomer would even consider such a strange shaving, but there wasn’t much anyone could do. When Jin Jin got home, Xie Qian Qian showed her husband the ugly hairdo shaving. 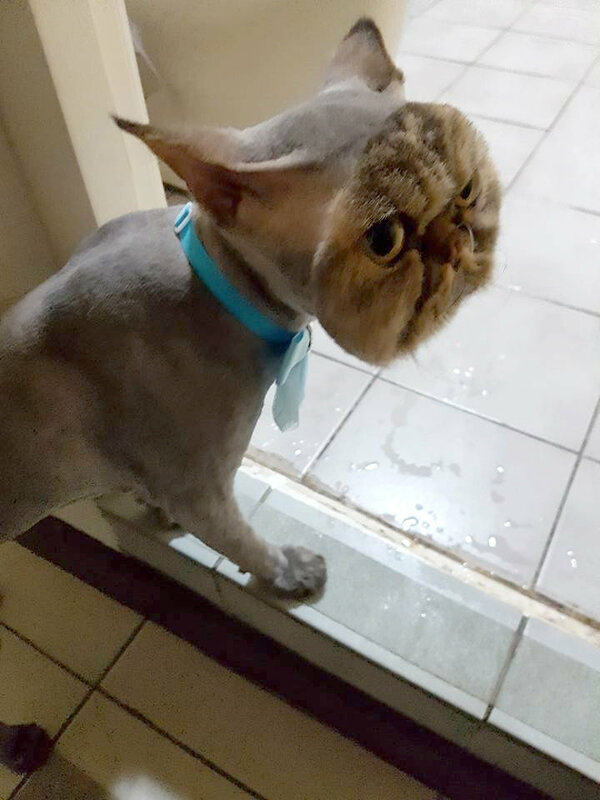 He wasn’t too happy about it, but then, he kept looking at the cat and burst out laughing with his wife. They took it in stride and knew it would grow out soon enough, and Jin Jin would display his wonderful long-haired coat again. Xie Qian Qian says that Jin Jin didn’t appear fazed by the weird shaving and mask face hairdo he ended up with. She says her cat is sweet with a most friendly disposition. However, the photos seem to show a not so happy cat. One adorable thing about Jin Jin’s mask face buzzcut is the effect on his eyes. They are larger and more beautiful than ever. 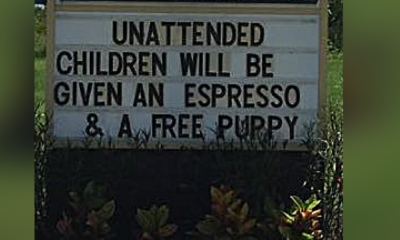 If this made you laugh, please SHARE with your friends and family to make someone else laugh too. Now watch this adorable video of a Pomeranian getting a haircut, he’s so happy! Emily Conklin enjoys sharing uplifting and positive news stories that bring happiness to others. Outside of writing, you can find her on the beach, playing with her bunny, tearing up the ski slopes, or on a plane traveling the world.